William Campbell Gault was a critically acclaimed pulp novelist. Born in Milwaukee, Wisconsin, he took seven years to graduate from high school. Though he was part of a juvenile gang, he wrote poetry in his spare time, signing it with a girls name lest one of his friends find it. He sold his first story in 1936, and built a great career writing for pulps like Paris Nights, Scarlet Adventures, and the infamous Black Mask. In 1939, Gault quit his job and started writing fulltime. 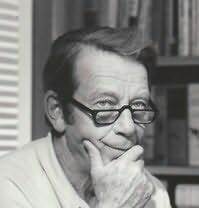 When the success of his pulps began to fade in the 1950s, Gault turned to longer fiction, winning an Edgar Award for his first mystery, Dont Cry for Me (1952), which he wrote in twenty-eight days. He created private detectives Brock Callahan and Joe Puma, and also wrote juvenile sports books like Cut-Rate Quarterback (1977) and Wild Willie, Wide Receiver (1974). His final novel was Dead Pigeon (1992), a Brock Callahan mystery.